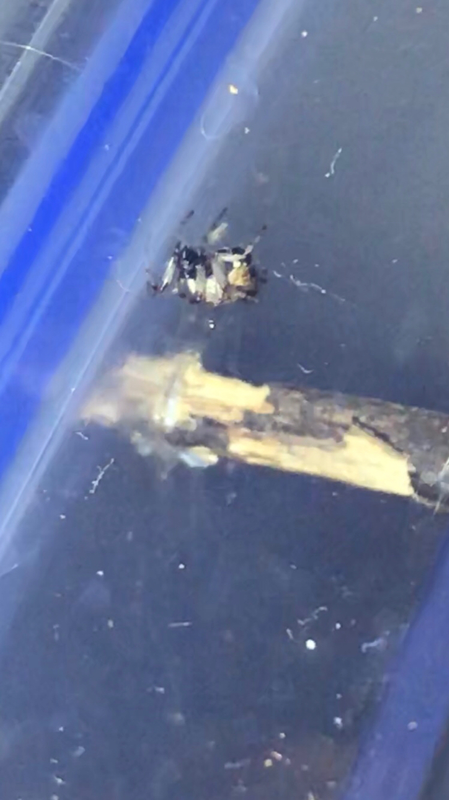 Saving a Hermit crab spider? Thought you guys would appreciate this, I’m in a bit of a pickle. My building was having its windows washed today and they were going to wipe away this little guy and his web. 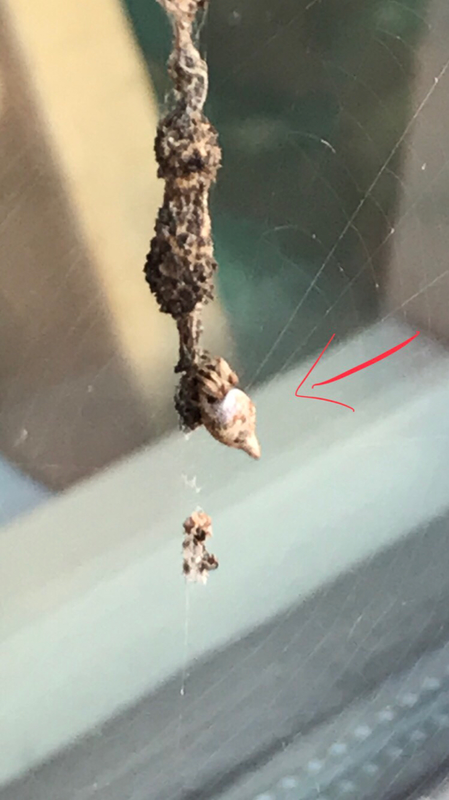 I pass by him everyday and he is a spider with a shell? He even seems to pull into his shell?! So, here I have this little container for him and I want to relocate him outside once they’re done washing windows. It’s super cold out though and he’s kinda cute lol. Will he survive putting him back at the window or should I put him in a bush? Anyone know what he is? Re: Saving a Hermit crab spider? Where do you live? If it's anywhere where it freezes during the winter then this spider likely won't make it outdoors. It may even be towards the end of its life already as many species live only until cold weather comes. If you're okay with keeping it, it wouldn't be a bad idea. Is it actually wearing some kind of shell or cap? Or is that just how the abdomen looks? Spiders are totally not my thing but he's neat. Someone else is going to have to help with the google-fu or else I won't sleep tonight! It’s neat! Kind of looks like it could be a cat faced spider, but I’m not entirely sure. Very cool! I'm late to this, but you could try going on Reddit - and then post to r/whatsthisthing. People are very good at helping and or pointing in the right direction there! Good luck! I would personally keep it - it's adorable! Did you figure out what he is? I am terrified of spiders but it’s really cool that he kind of looks like a hermit crab. 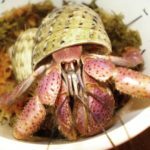 A friend of mine picks on me and calls my hermit crabs shelled spiders. I wouldn’t dare google search it either, I wouldn’t be able to sleep either! Lol! Sorry everyone, things got crazy over here. It’s definitely a shell, she even ticks into it when startled! So crazy! Good news as news - I came home from work and there were baby spiders EVERYWHERE . They were so tiny they could climb through the air holes. Think 1/4 a sesame seed size. Yeahhhh. I couldn’t handle that so I took them all outside and put them under a bush that I know planters don’t mess with and that I usually see bugs flying and crawling around. I did my best to put the web back too, so she can repair it if she wants and I tried to put all the babies around her. Here I circled Momma and a baby. The baby even has what lols like a shell! 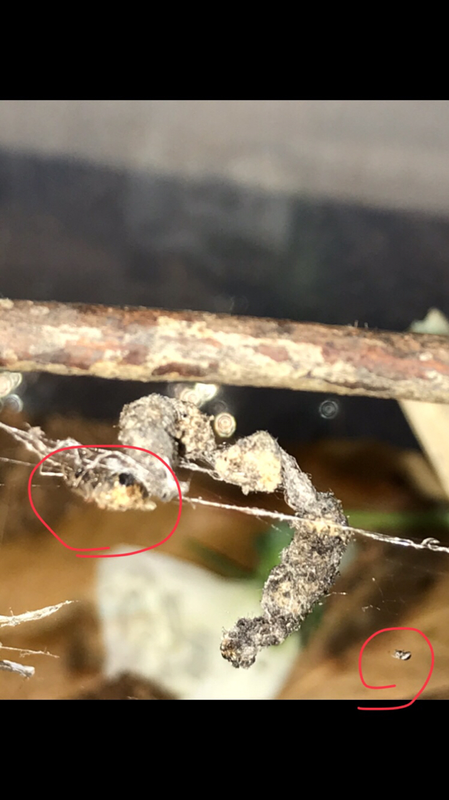 Hopefully they’ll survive out there, I just couldn’t handle having 30+ baby spiders in my home! Keep in mind Momma is just a bit bigger than a sesame seed! Say what?!!! How cool is that?!! I wish we had hermit crab spiders in Florida!! Well...I say that...I probably don't want that. We have enough stuff! I already saved a coral snake out of my pool today! What state do you live in? I'm just curious where this neat arachnid lives!! Awww! That is so cool! I don’t like one spider, let alone 30 babies! Lol! You did the right thing, it’s nature, they will take care of themselves. She wouldn’t of had babies this time of year if she wasn’t meant to. Maybe that’s why they have the shell type thing, to protect them from the cooler weather. I wish I knew what they were really called. I’m not a big fan of spiders but this one was too cute and unique to let them kill it. Today was rainy so I’m glad I put them outside yesterday under a bush thing so they were able to get settled before the rain. I’m in the DC-metro area and I’ve never seen anything like this. I wish I could post a video so that you could see how it walks. So fun!